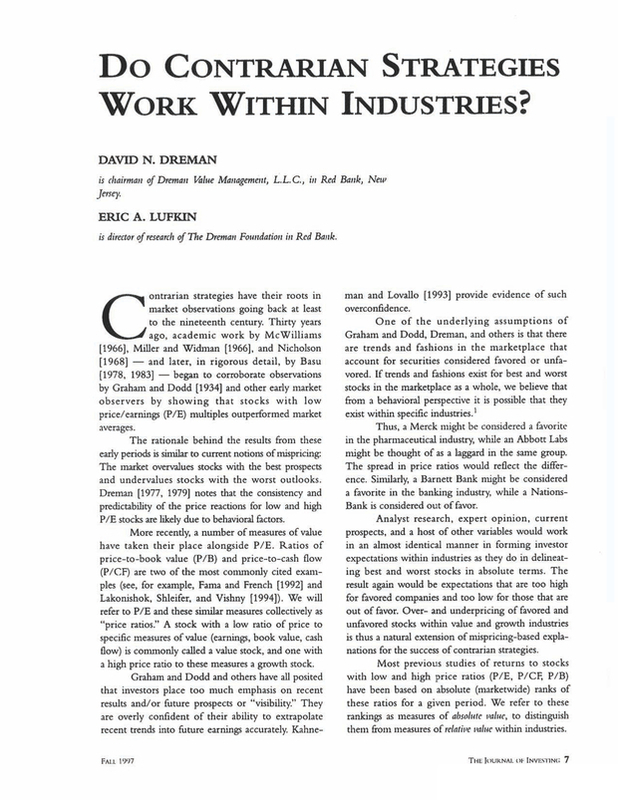 Do Contrarian Strategies Work Within Industries? Chairman of Dreman Value Management, L.L.C., in Red Bank, New Jersey. Director of research of the Dreman Foundation in Red Balik. You are going to email the following Do Contrarian Strategies Work Within Industries?